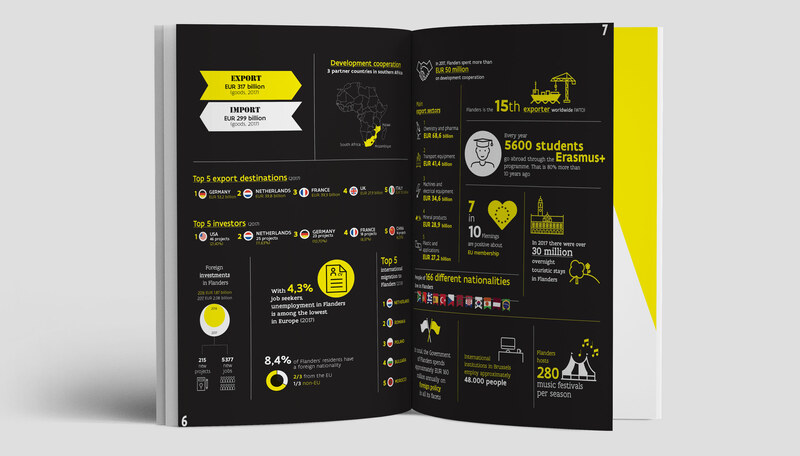 Copywriting, design and production of a brochure for the Flemish governments' Department of Foreign Affairs. 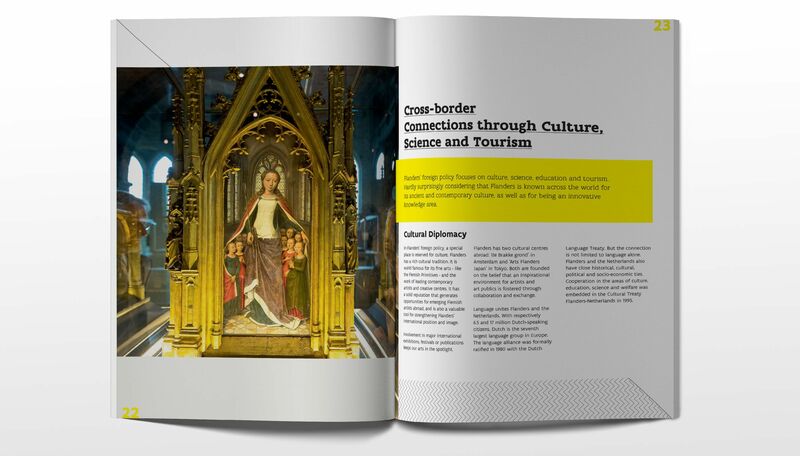 Flanders may be a smaller region in Europe, but it boasts a very central location, a dynamic and open economy and intense bonds with other regions and states in Europe and beyond. 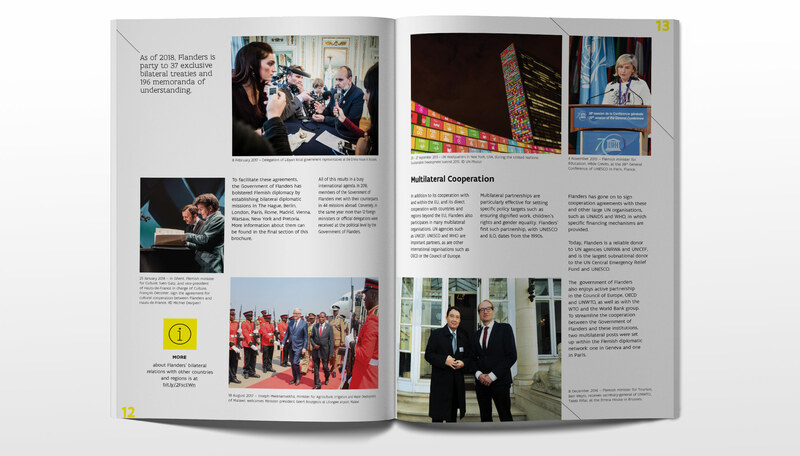 The Flemish Department of Foreign Affairs is in charge of the coordination of Flanders’ international and European activities vis-à-vis foreign governments, the European Union and international organisations.